Goodwill believes bringing together job seekers and employers is an important part of our mission. Employers need help finding available job candidates. Job seekers need information about available job openings. 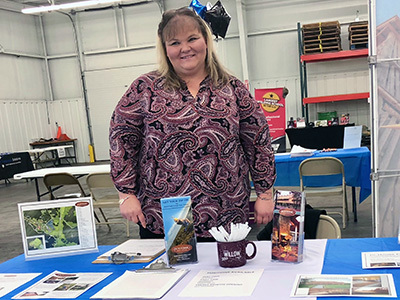 Goodwill responds to those needs by hosting hiring events at our Goodwill Job Connection locations, and career fairs at the Goodwill Edgar J. Helms Center. On Tuesday, April 23, we will host our Spring Career Fair from 10:30 a.m. to 1:30 p.m. Dozens of actively hiring employers are expected. The career fair is free to attend for job seekers. You can browse at your own pace and visit with employers in the fields of your interests without feeling pressured to stop at every booth. However, networking is another valuable aspect of career fairs. So, taking just a little time to visit with employers and get their contact information could pay off down the road. If you are uneasy with this step, read this article from The Balance Careers for tips. 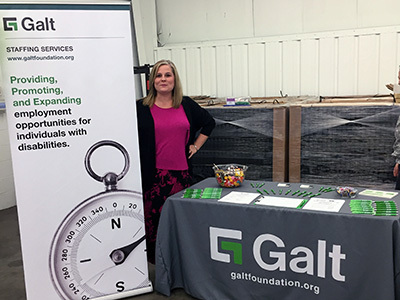 Sunny Martinez, COO and publisher of The Job Guide, had a booth at the Goodwill career fair this past October. She enjoyed being a resource for the attendees, taking the time to listen and direct them. 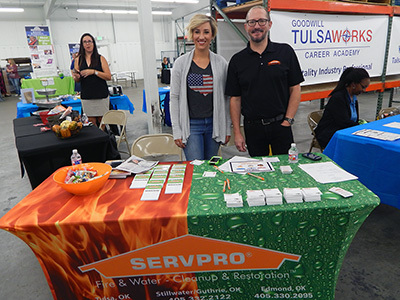 Eric, who lives in Tulsa, also attended the career fair in October. He said he had been out of the workforce since 2005, and so it had been a long time since he had got out to talk with employers. Eric spoke with at least 10 employers in a little over an hour at the career fair. 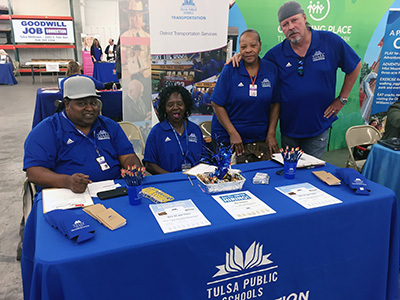 Job seekers can use the regularly updated list of participating employers on our website or Facebook to research those they might want to visit with during the career fair. The Job Guide is a bi-weekly employment publication with distribution in northwest Arkansas, southwest Missouri and the Tulsa Metro area. Learn more about this resource at thejobguide.com.